Delightful Designs by Danielle: Ballerina Tilda ... and Jasper in the snowstorm! 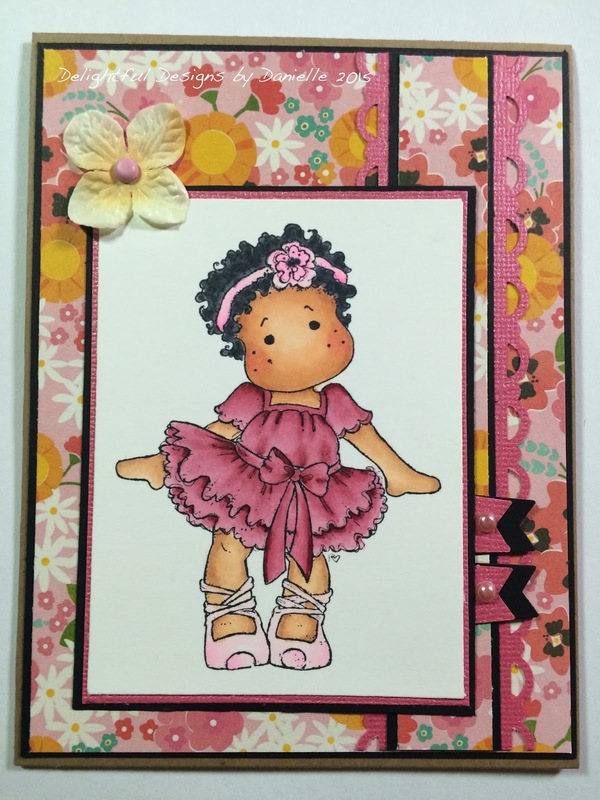 I have this lovely Tilda Ballerina card to share with you. I've had her coloured up for ages and have finally gotten around to putting her on a card. She is coloured with copics and the paper I have used is from Pebbles. I followed a pretty straight forward layout and used a lovely SU! punch for the strip down the side. I added a simple flower, couple of pearls and used a tiny tag punch for some embellishment details. Cute Card Thursday - Colourful! Thank you all for swinging by my blog today. I hope you're all staying warm & safe wherever you are! 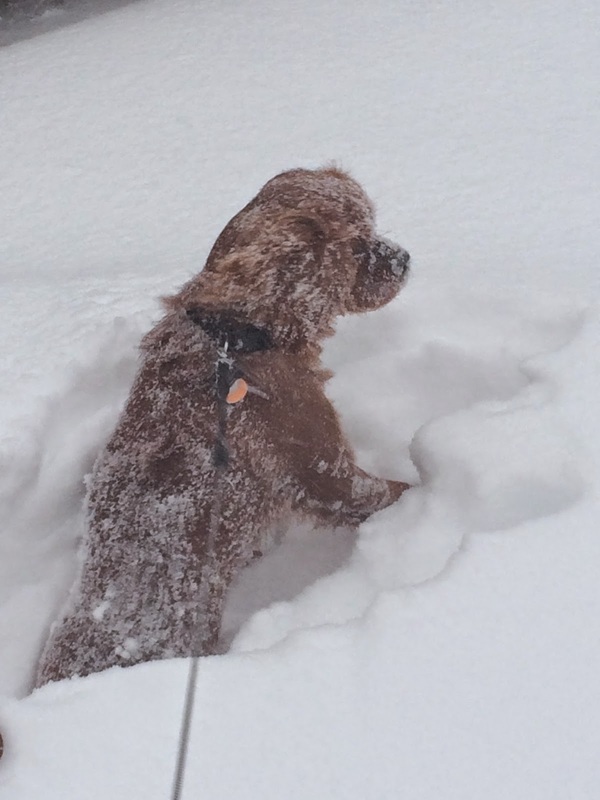 I've included a sweet picture of my puppy Jasper at the end of the blog post enjoying the snow! I am so glad you are making cards again! It is so nice to see you colouring up Tilda!!! She is gorgeous in that raspberry colour!!!! I can't believe all the snow you have...we have not got much at all. We are waiting on 10 cm or so of snow tonight...but you must laugh at that!!! !LOL Jasper is one adorable dog! You must love his company when the kids are at school!!!!!! Nice to see you taking advantage of the snow day! Lovely Tilda...and Jasper is adorable!